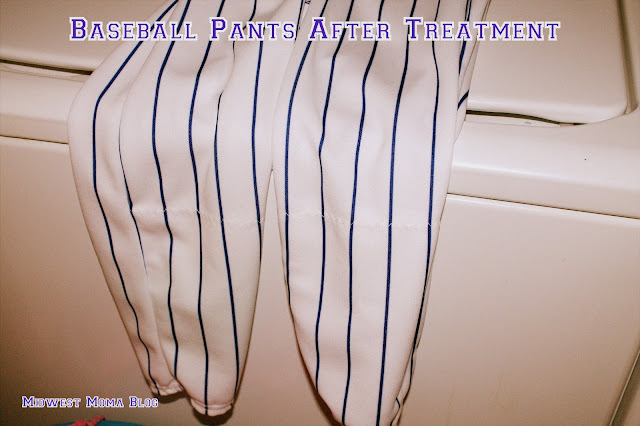 Midwest Moma Blog: How to Remove Grass and Mud Stains from Baseball Pants! 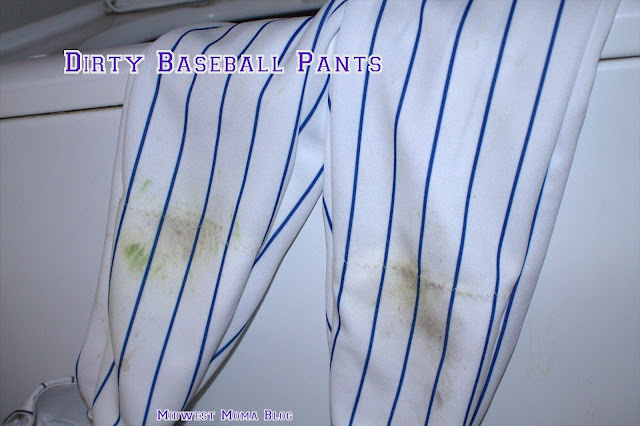 For any mom whose child plays baseball and softball, white pants can be the scariest thing in the world! I have three boys and it seems that at least two of them end up in white pants every season! This year...ALL of them are in white! I have experimented with several stain removers and laundry detergents and finally found a duo that does the trick, every time, always! I pre-treat my pants with Shout! stain remover and let it set for about 10 minutes, I then spray it again right before I drop it into the wash. I use Tide detergent to wash. I have used the entire line, and any of them will work. Currently I am in love with the Pods! I love the fact that I can keep count of how many loads of detergent I have left before having to buy more! Ha! Here is a pair of pants fresh home from a game...Gross, I know! Here is what they look like after I treated and washed them! I hope you can put my little trick to use with your ball players....every little bit of awesome advice helps!